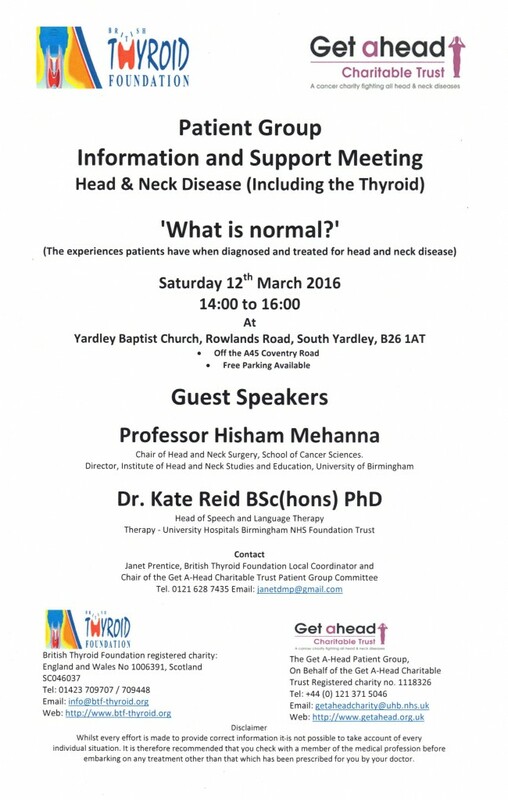 Details of the next Get A-Head Patient Group & Birmingham Area British Thyroid Foundation Support Group meetings are now available. Please see below for full details of the venue and times. Details of the guest speakers at the meeting is also included.